The institution signed an MOU with IBM in 2009 to set up the first IBM Software Center of Excellence in the Northern region. Under this Center, students of MIET get free training and certification on leading technologies from IBM, besides placement support and participation in The Great Minds Challenge (TGMC), India's most prestigious project competition. Over more than 500+ Students have got certification in RAD, DBMS, IBM Blue Mix since the inception of the Center at MIET. The students and faculty get hands on training on various tools, technologies, and products of IBM through online and offline mode. During 2013 and 2014 all the final year project of Computer Science and IT Department were developed on IBM platforms as part of The Great Minds Challenge. Latest training on IBM BlueMix platform was also organized under the aegis of the Center. MIET students brought accolades to the institution by consecutively finishing in the "Top 15" teams in India from 5000+ participating teams across India. The two teams "Encoders" and "Chat Club" from MIET placed at 11th and 12th position respectively. 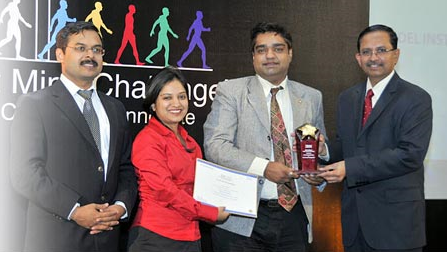 MIET received the unique distinction of being recognized as one of top 30 colleges in India during The Great Minds Challenge Competition held by IBM In 2013. Mr. Salim Qureshi, Head of Department CSE and Ms. Ankit Bansal, Assistant Professor CSE received the award during the award ceremony held in Bangalore. MIET also finished in the "Top 50" colleges in India in 2014 and 2015. 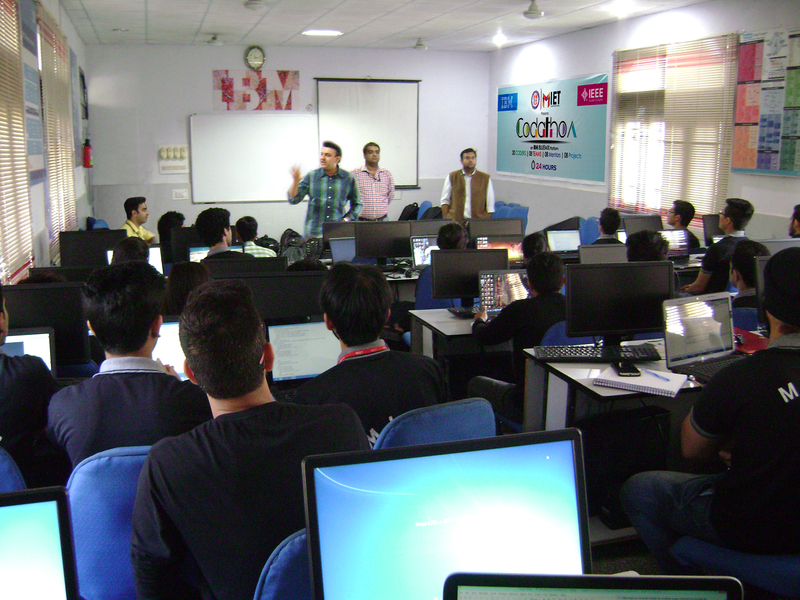 MIET organized the first ever codathon in J&K, a marathon 28-hour coding session in which 35 MIET students built 8 innovative projects on real-time traffic analysis, automated attendance marking and student tracking, mobile app for restaurant table booking, dynamic resource service provisioning, peer-to-peer chat server, M-governance, social network analysis and location-based recommender systems. The projects made use of advanced IBM BlueMix Services such as DashDB, Alchemy for image analysis and Insights for Twitter etc.